The mysterious stranger was brought into the hospital with one name on his lips: “Frank Verrano.” He has no memory of who he was, where he came from, or how he could possibly be the only survivor of a bombing attack on a cruise liner that killed hundreds of people. 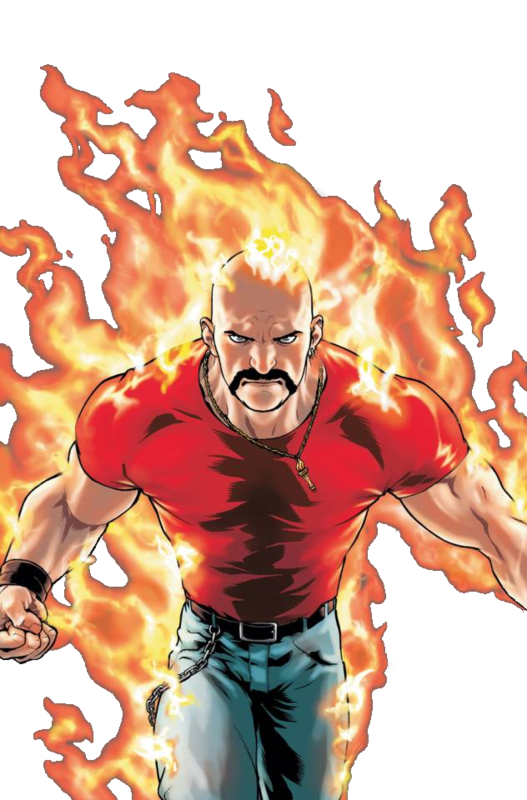 Able to change into a superhuman form, Inferno can create and project intense flame and he is able to use this to burn his way through steel doors and walls and can melt bullets before they reach him. He is immune to the effects of his own flame. He may have above-human ability to withstand physical trauma given the circumstances of his of his appearance in the hospital and that he was quickly able to become physically active again. Appears to require transformation to access super-powers. Amnesiac.